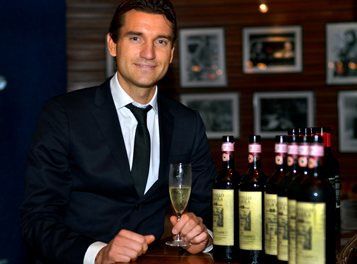 At a private wine-pairing dinner event in Paparazzi at Edsa Shangri-La, we caught up with Lorenzo Zonin, appointed Ambassador for Casa Vinicola Zonin, to tell us why they are Italy’s world-renowned and multi-awarded winemaker. For Italy’s largest privately owned vineyard, it has been a long journey since it started as a small-scale grower in 1821. Like most of its contemporaries, Zonin Wines has persevered in tilling the land and enabled it to produce quality wines distributed in over 98 countries today. From the humble size of few hectares in a little village in Gambarelli, Zonin Wines has grown to own more than 200 acres of vineyard properties including 10 estates dedicated to growing the wine most adaptable to its particular region. Lorenzo Zonin, a seventh-generation member of the family, was in town to host two wine-pairing dinners that featured the winemaker’s more upscale offerings. Together with its Philippine importer Bestworld Beverage Brands’s president Edna Diaz, Zonin enthusiastically shared its vineyard’s history and accomplishment for almost three centuries. “The family in 1821 started growing a grape variety called garganica, which must have been brought over to Italy from Greece. From the grape, they were making wines called Suave but later on they started buying different land properties from all over the country.” They started northeast of Italy–Tuscany, Piedmont, then Sicily– and at present covers seven regions, ten vineyards and 150 hectares of vast holdings. The early days saw the vineyards producing wines for everyday consumption without regard to its quality. But that approach changed when consumers started to demand better quality wines. And so in the 1960s, Zonin started implementing changes that would improve its selections. It was Lorenzo’s uncle Gianni Zonin who pushed the family corporation to new heights. Like the French Bordeaux’s revolutionary changes in winemaking during that period, Italy’s winemakers also underwent significant changes. Gianni Zonin took over as president when he was 29 years old and remains the company’s figurehead until now. His sons now hold VP positions of a wine distribution company in the United States. 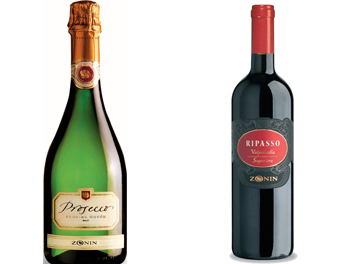 The Zonins own the most advanced winery that makes sparkling wines in Italy. Among their products available now, the Prosecco has a great following. Prosecco gives you immediate pleasure because of its full flavour. Remarkably, it is Zonin’s bestseller today. It started making this wine in the sixties using the Charmat method— a type of fermentation done in tanks that produces a more complex flavour yet goes with all types of meal. The Prosecco is considered one of the world’s most versatile wines. 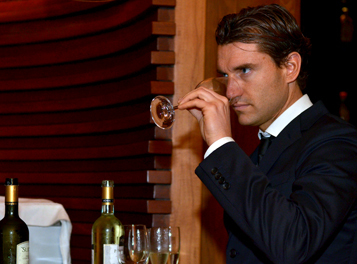 “You can start with it as an aperitif but you can also drink during your meal. It’s easy to drink and goes well with light meal; it’s perfect for Japanese sushi or appetisers that are not too seasoned.” Its flavour is a combination of green apple, peach, and has a litchi aroma and feels creamy and bubbly at the mouth. “Tonight, we are also serving the Pinot Grigio 2010, a 2006 Chianti Classico, a 100% Sangiovesi and is made in the oldest part of the Chianti. We will also have a 2008 Ripasso Valpoliccella . We make this red wine by refilling a tank of leftover dry amarone grape skins and mix it with the Valpolicella grapes.” The process produces a complexity that can be appreciated by both amateurs and connoisseurs. It is dry on the palate with a strong and sturdy body and a clean aftertaste. “Then we will end with Castello del Poggio Moscato d’Asti 2010, which is considered our Renaissance wine made from the Piedmont vineyard.” The fruitiness is perfect to pair with dessert and after-meal drink. Lorenzo Zonin asserts that anyone can have the same grape variety and produce a different type of wine. That is because grape variety only affects 50% of the overall flavour; 30% comes from soil and the type of terroir where the vineyard stands, and 20% is derived from the hands of the farmer/ producer. In recent years, the family consolidated its market by creating a website that serves as their gateway to distribute the wine in the United States. The website enables importers and consumers alike to choose the wine that suits them. The most prestigious and highly rated is Acciaiolo, a blend of 60% Sangiovese and 40% Cabernet Sauvignon. It is dry and has remarkable finesse and a noble, velvety structure. The flavour recapitulates the sensations perceived by the nose. With their brand being recognized as one of the Italians’ best, the Zonins realize the significance of partnership with local distributors who are actively promoting their brand. The two dinners in Manila are part of the event promotion that the company has undertaken to increase awareness of its wine. He says that a winery takes a lot of time to grow. “For superior wines you have to wait 15 years. We work to leave our heritage to our sons. And you hope they will have the same passion.” It is a bit ironic that Lorenzo had to leave home as a young man to find his passion. He worked as an assistant winemaker in a winery in Virginia, in the United States and New Zealand. He discovered and saw different aspects about winemaking and wine itself. In his case, he fell in love with the process while he was away. He adds that if one has a sensibility for nature, “the vineyard and the wine is able to capture you as long as you are open to any possibility.” For him, it was very crucial not to feel obliged to continue. He was free and followed his heart.